Rotmell Castle is said to have been a royal residence in the 14th or early 15th centuries, although no trace of it now remains. According to the Statistical Account of Scotland, written in 1843, a castle at Rotmell was occasionally occupied by one of the King Roberts (Robert the Bruce reigned from 1306 until 1329, Robert II from 1371 until 1390, and Robert III from 1390 until 1406). The last remnants of it were removed around 40 years prior to writing, when a number of coins were discovered under a foundation stone. The coins were in the possession of the Dalguise family at that time. 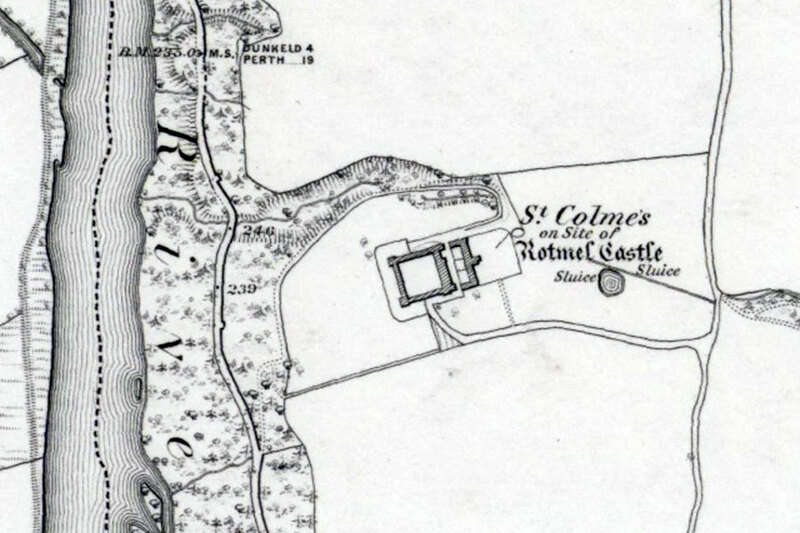 The RCAHMS lists the Rotmell Castle site as a possible fort, although when it was visited by the Ordnance Survey in 1975 they found no evidence to suggest that it was what it once was. The suggestion that it was a fort may have been due to the origin of its name (ie rath / rait) however a few kilometres further north along the River Tay is a castle named Rath of Logierait which perhaps sets a precedent. It is also worth noting that the Rath of Logierait was a favourite haunt of Robert II. Rotmell Castle is in the parish of Dunkeld and Dowally and the county of Perthshire. Published on the 26th of October 2014 at 11:59 am. Updated on the 26th of October 2014 at 1:01 pm.